People usually flock to Seattle's Pike Place Market for the pungent fish smell and a visit to the world's first Starbucks, but there was another attraction there last night (August 23) when a series of rock luminaries teamed up to perform on the market's rooftop. 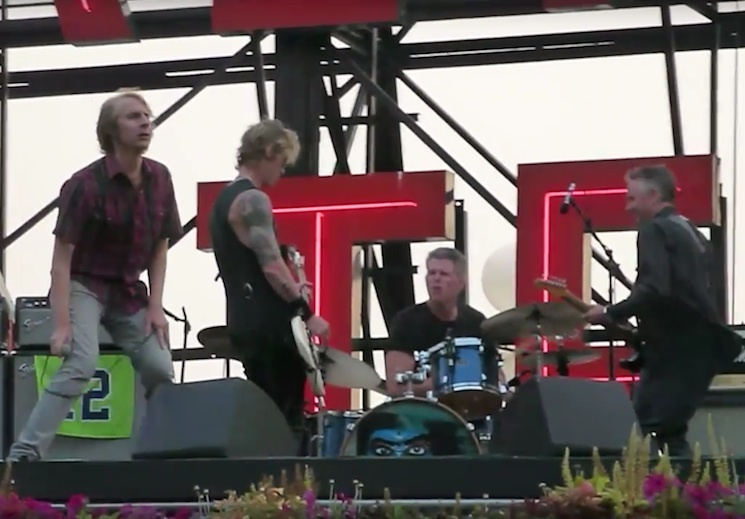 Mudhoney's Mark Arm, Pearl Jam's Mike McCready, Guns N' Roses/Velvet Revolver/Fastbacks member Duff McKagan and Screaming Trees' Barrett Martin teamed up to rock out on the landmark's roof. Rather than revisit any of their own bands, they blasted through seven classic tracks from Iggy and the Stooges. The performance was intended to raise money for the radio station KEXP's new home. Watch a handful of videos from the star-studded performance below [via Stereogum].